Imagine being able to inspire the next generation of computer scientists. 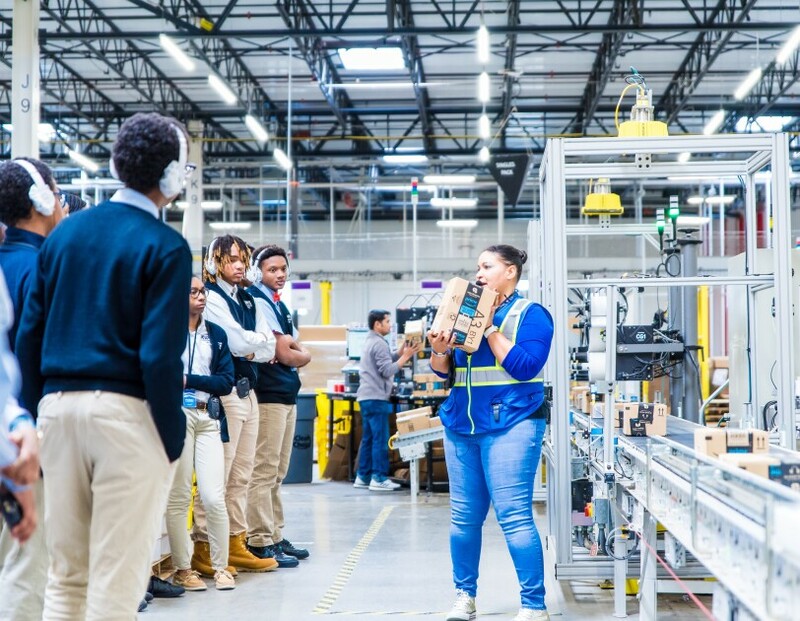 The Amazon Future Engineer program aims to do just that, partnering with FIRST to provide robotics grants to 100 schools serving students from underrepresented and underserved communities in 21 states, across the U.S. 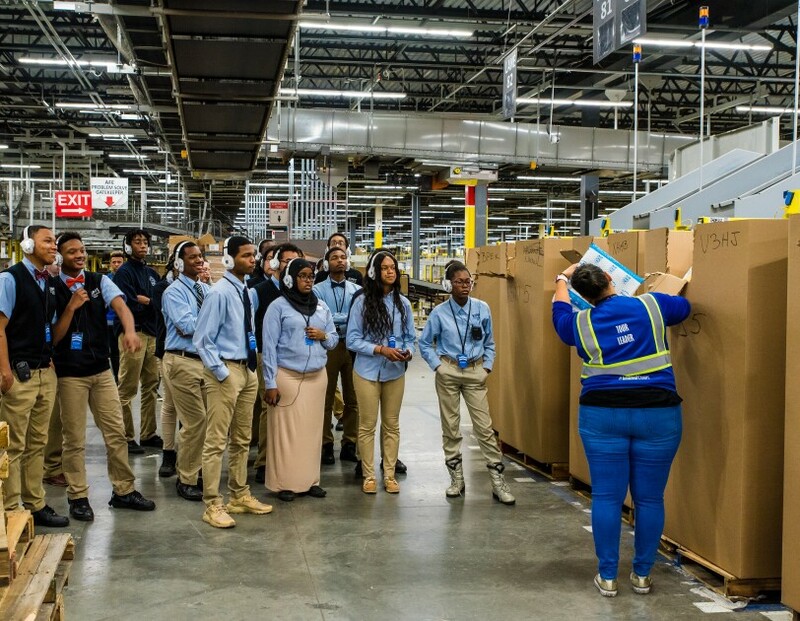 The Amazon Future Engineer Robotics Grants will provide support for schools to launch FIRST robotics teams, including teacher professional development to learn about robotics, an additional $10,000 from Amazon to expand access to computer science education in their school, and a tour of a local Amazon fulfillment center. Thousands of students will benefit from the program, beginning in the fall of 2019. 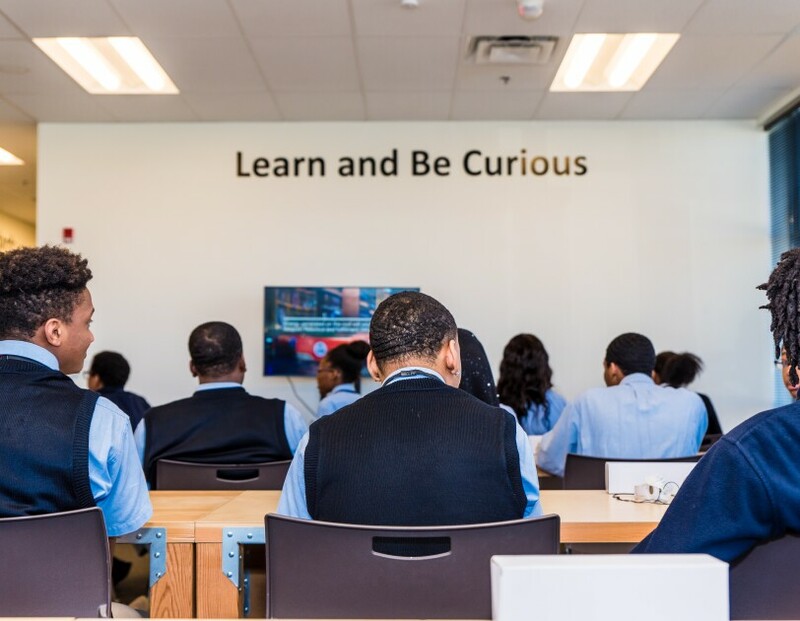 The Amazon Future Engineer program aligns well with FIRST’s mission to inspire young people to be science and technology leaders and innovators by engaging them in mentor-based programs that build science, engineering, and technology skills to students in grades K-12. 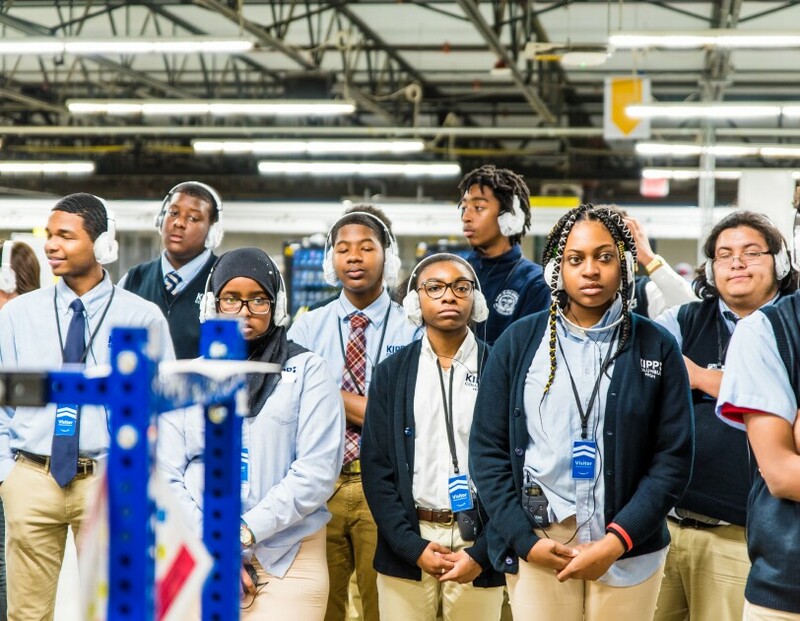 Data from a 5-year longitudinal study of FIRST programs by Brandeis University shows FIRST robotics programs work for all youth with students across all demographic groups (gender, race, economic status, and geography) showing significant gains in STEM (science, technology, engineering, and math) knowledge, interest, career interest, identity, and STEM activity compared to their peers who don’t participate. FIRST students are more likely to major in tech-focused science fields in college; by their second year of college, over 50 percent declare majors in engineering or technology. The impact on young women in FIRST is particularly profound. By their first year of college, female alumnae of FIRST are 3.6 times more likely to take an engineering course, and 1.9 times more likely to take a computer science course than female comparison students. 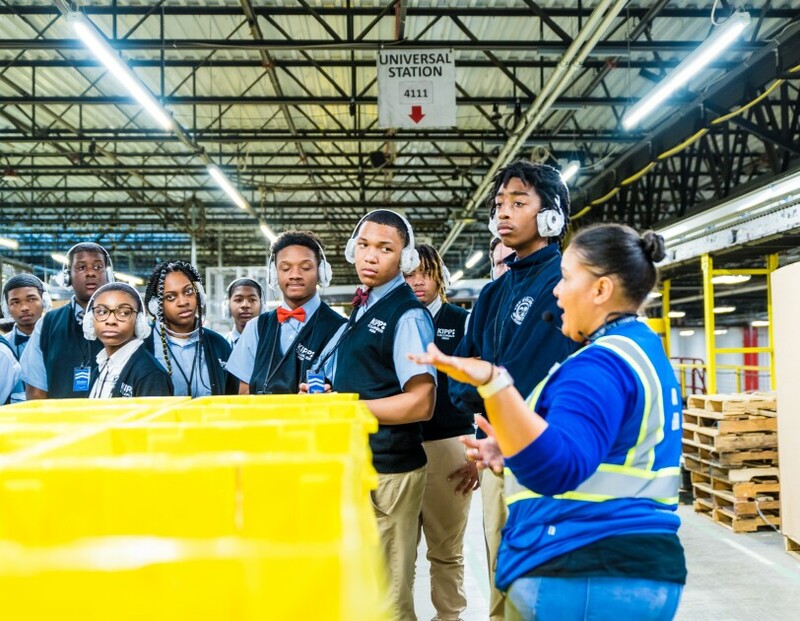 Students from KIPP Columbus in Columbus, Ohio tour an Amazon fulfillment center in Etna, Ohio. 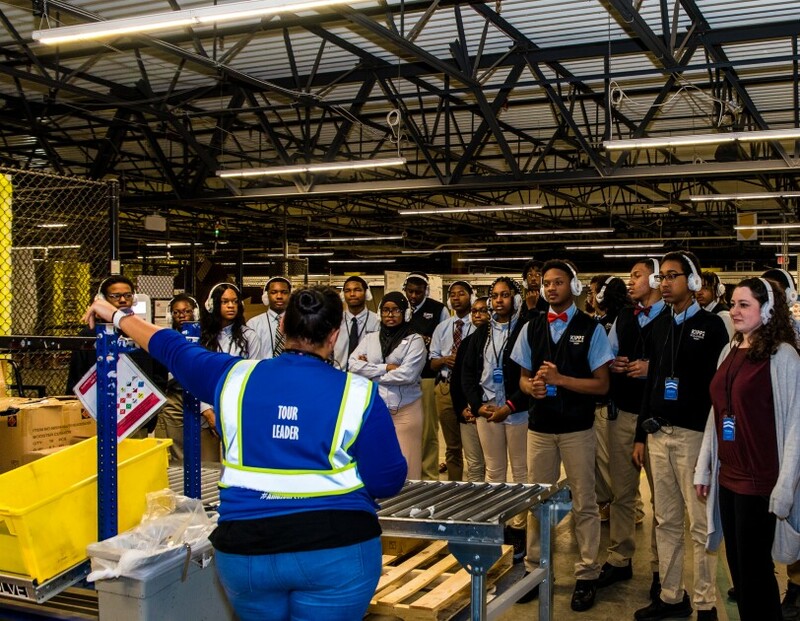 High school students from KIPP Columbus attend a tour of an Amazon fulfillment center. 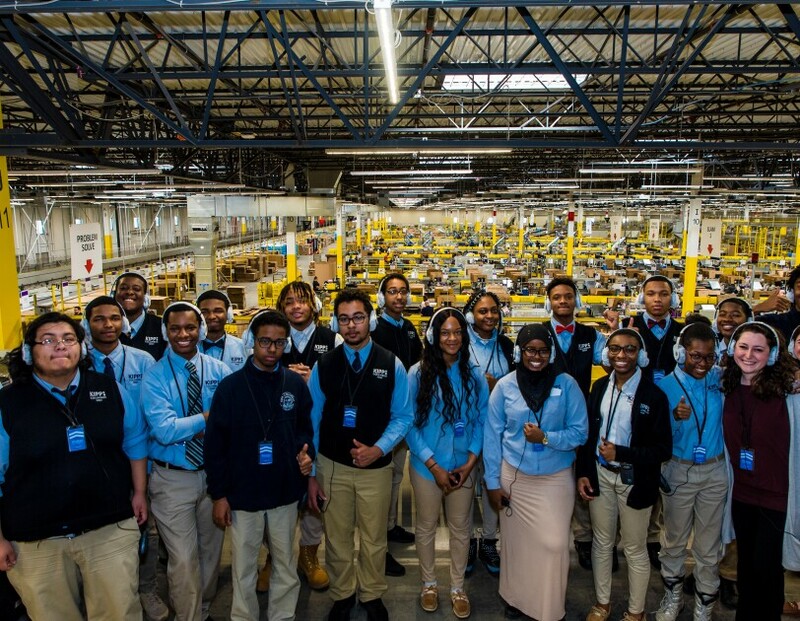 These students are the innovators of the future, and we’re confident that this hands-on experience provided by Amazon Future Engineer will inspire them in their academic pursuits and beyond. Learn more about Amazon Future Engineer, and additional programs it offers students from childhood to career.